When a disaster strikes, it isn’t going to be easy for anyone. But the people who were smart enough to prepare and plan ahead of time are going to have a competitive edge. 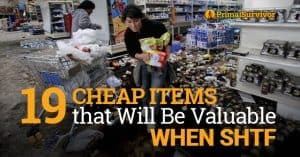 If you’ve got a stockpile of food and water in your home, then you won’t have to face the mobs in the supermarket who are scrambling for basic supplies. 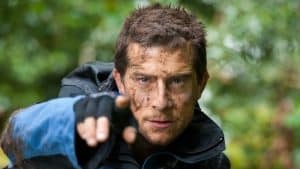 If you’ve got your Bug Out Bag packed, you will be ready to go at a moment’s notice and will be able to get out of a danger zone before the real crowds start and people get stuck. 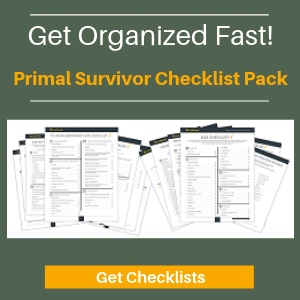 Give yourself that competitive edge by preparing for a disaster. If you aren’t prepped yet, then read my posts on what SHTF gear you need to stockpile, and what to put in your Bug Out Bag. 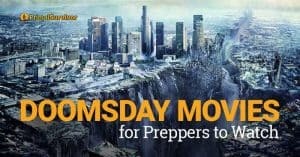 This SHTF plan is for people who have already taken those steps to prepare for a disaster and goes over the first steps to take. After a disaster, your cell phone probably isn’t going to work. So don’t rely on this for your communication plan. Designate a meeting point. Also designate a secondary meeting point in case you need to evacuate before everyone can get to the first meeting point. If you are seriously prepared, then you will also keep a set of walkie talkies – one in your home, and another in each vehicle. You can also collect information in other ways. Look outdoors to see if everyone has lost power or if fires have broken out. If your phone still works, call friends at the other end of town or in other cities to see what the situation is there. If you are unsure whether a nuclear disaster has occurred, test your cell phone and other electronic items to see if they work and determine whether EMP has taken place. Many survivalists have a vision in their mind of how the End of the World will go. They will Bug Out in the wilderness until the chaos dies down, then go back to the cities to start rebuilding civilization. But, realistically, in many disaster situations it makes more sense to stay at home. 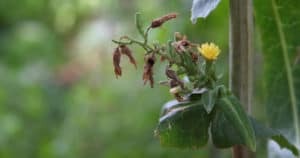 You have already prepped your home with enough supplies to last you 2-3 months, and have methods of securing the premises (if you haven’t done this yet, then now is the time to start!). If you determine that it makes more sense to bug out, then grab your Bug Out Bag (which you’ve already packed!) and GO NOW! Don’t delay because soon the mobs will start fleeing too. If you are hunkering down, then your shelter should already be ready to go. You will just need to put the finishing touches on the shelter – such as by boarding up windows, securing the door, placing sandbags, and making things comfortable. When Bugging Out into the wilderness, securing shelter can be a much bigger challenge. The first challenge is just getting out of the danger zone. Hopefully you were able to avoid the masses of people fleeing by acting fast to get away. Once the traffic jams start, it is going to take a heck of a long time to get away! Again, preparedness is key to your SHTF plan. Hopefully you won’t ever need to use it, but get a bunch of maps of your area and scout out some isolated spots where you could bug out for a while with your family. Then practice putting together a survival shelter – such as how to camouflage a tent, how to create a survival shelter out of debris or a tarp, and how to set up a defense perimeter around your survival shelter. You’ve got all of your team members together, you’ve gathered information on the situation, you have secured yourself shelter, and have all the essential supplies you need to survive the first few days (or weeks) of the disaster. Now what do you do? Is the area infected? Is the area safe? Is anyone injured or incapacitated? Is the shelter adequate to protect against the immediate risks? What about long-term risks? How long can you safely stay in the shelter? How many days will your food and water supplies last? Do you have another source of clean water? What will you do if approached by a stranger? Remember, a good SHTF plan should be flexible enough to adapt to any situation. You can’t plan for every single scenario, but you can be prepared to deal with it when it happens – so make sure that you have a survival kit prepared else the plan won’t do you much good!